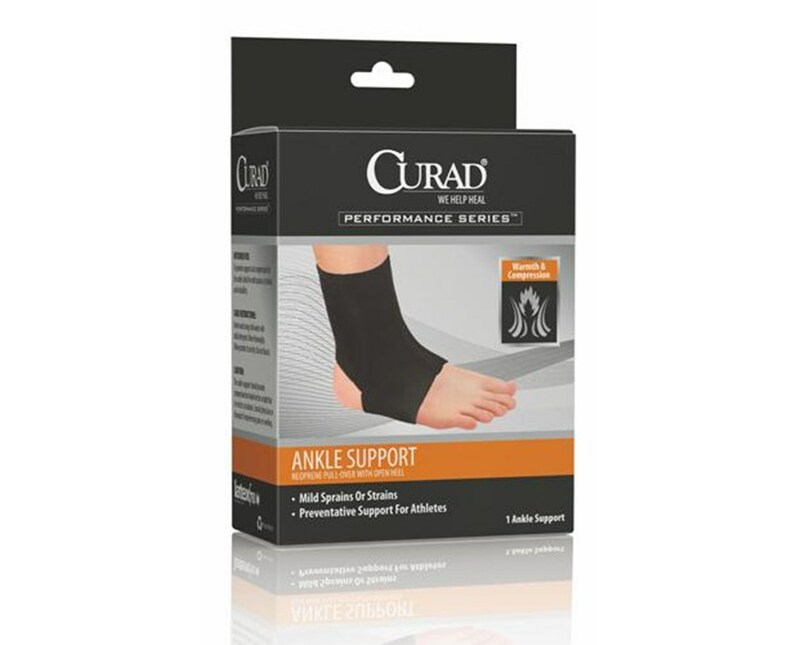 Curad's Neoprene Open Heel Ankle Supports help with mild sprains or strains, as well as preventative support for athletes. These black, slip-on supports are designed for warmth and uniform compression, come in retail packaging and are latex-free. 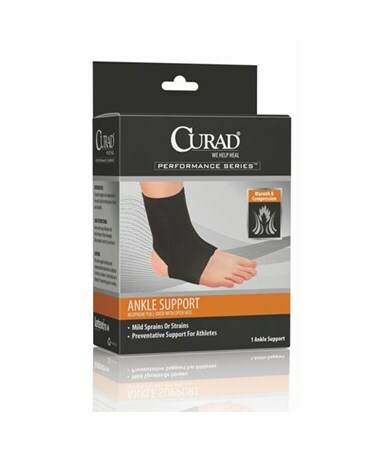 We offer the Curad Neoprene Open Heel Ankle Support in five sizes, two quantities for most. Select from the drop down menu above.